Paul Wandtke returns home after 7 months on the road w/ Trivium! Catch them back on the road w/ Sabaton and Huntress starting Sept 15th! 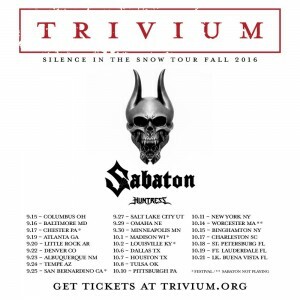 Tickets are on-sale now via at trivium.org/tour.